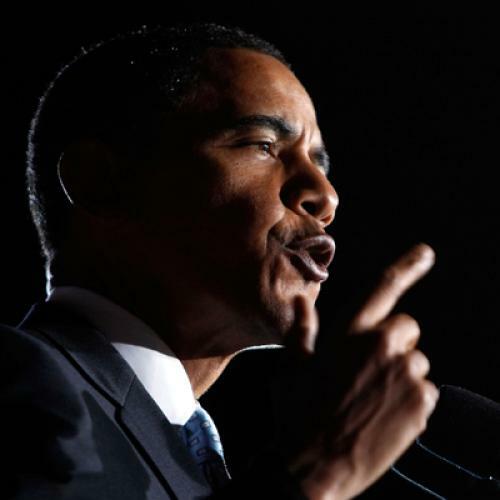 A little less than two years ago, Barack Obama faced a dire threat to his presidential candidacy: The publication of explosive comments by his former pastor, Reverend Jeremiah Wright. Obama responded with what many people considered the speech of his life. Today Obama faces a dire threat to his presidency: A political backlash threatening to destroy his signature domestic policy initiative and, more broadly, his entire governing agenda. Can he give the speech of his political life--again? I hope he can. But it won’t be easy. Whatever the true meaning of the Massachusetts election--and you can count me among those who think it’s been wildly over-interpreted--there’s no question that the public has become frustrated with the Obama presidency. At a time when they’re worried about their incomes and their jobs, they see Washington dithering and dealing over a health care bill that, they’ve been told time and time again, won’t make much difference in their lives. According to the polls, Democratic congressional candidate are increasingly vulnerable, while the president’s own job approval ratings have fallen to around 50 percent. Obama could respond simply by lowering his ambitions, as much of the Washington establishment seems to be counseling. He could stand at the podium Wednesday, suggest he’d reached too far and too quickly, then unveil a list of modest, poll-tested initiatives like the ones Bill Clinton used so successfully after his own political drubbing in 1994. Obama could then spend the next year muddling through, trying his best not to offend. And the Democratic Congress would probably go along, given how easy fecklessness comes to them. The alternative would be to double-down--to keep pushing an agenda of sweeping change. No, Obama can’t ignore the voter anger or pretend Massachusetts didn’t happen. He needs to promise action on the economy--and a commitment to cleaning up government. But he doesn’t have to abandon his agenda, either. The people elected him on a platform of “change,” he can say. And change is what he still intends to give them. As you can doubtless detect, that second strategy isn’t easy to pull off. It requires the ability to send two messages at once--the rhetorical equivalent of walking and chewing gum at the same time. And in more ways than one. On a purely programmatic level, Obama has to deal with impulses that are clearly at odds with one another--like the fact that the voters want more jobs but oppose deficit spending, which just happens to be the most effective way of reducing unemployment. When it comes to talking about the political process, Obama must somehow address the public’s frustration with gridlock and yearning for bipartisan outreach, even though Republican obstructionism has rendered Obama's efforts at bipartisanship futile. So can Obama pull off this trick? Maybe. As I’ve mentioned before, I never drank the Obama kool-aid. But that’s not because I didn’t like him. It’s because the qualities I saw in him--from hearing his 2004 speech and then reading his autobiography---seemed ill-suited for politics. He was clearly somebody who reveled in ambiguity and embraced contradiction, which is great if you’re a writer or intellectual but not so great if you’re trying to win votes in the world of thirty-second sound bites. Or so I thought before the Wright speech. The easy approach to that controversy--the one, I’m sure, most political consultants would have advised--would have been a simple and apologetic disavowal of Wright. Instead, Obama seized the opportunity to offer a disquisition on American attitudes about race, in all of its mind-numbing complexity. Somehow, the gambit worked. People paid attention. They respected Obama for it. And his candidacy survived. My gut tells me that this State of the Union cries for the same approach--that people will respect and embrace Obama if, rather than backing down, his reaffirms his commitment to the ideals on which he ran. They want to know he’s listening, but they also want him to keep fighting. They can handle the complicated message--in fact, they want it. And perhaps this is what Obama himself wants to do. More than most politicians, he seems to enjoy confounding Washington experts by challenging the public. It's worked for him before. Maybe it can work again.